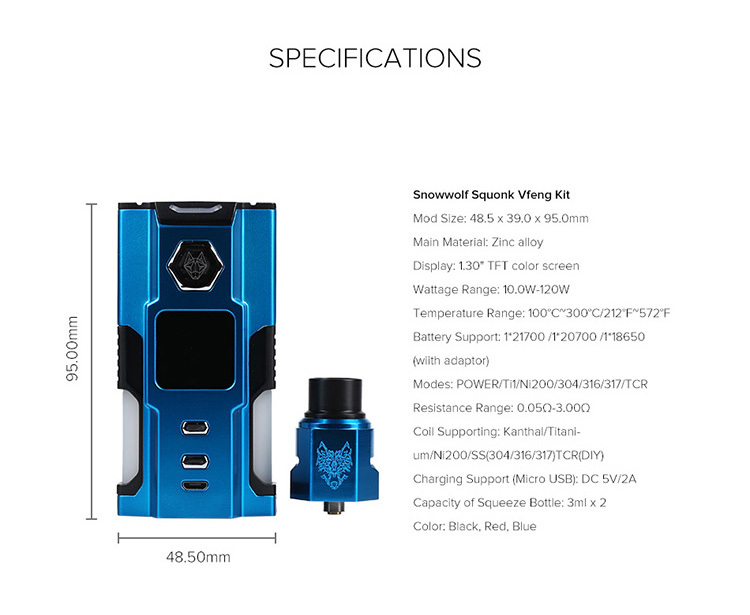 SnowWolf Vfeng Squonk Kit has the appearance of the SnowWolf Vfeng Mod. It features the total 6ml capacity dual squonk bottle and the 1.30〞TFT color screen. Compatible with the single 21700, 20700 and 18650, its wattage can up to 120W. 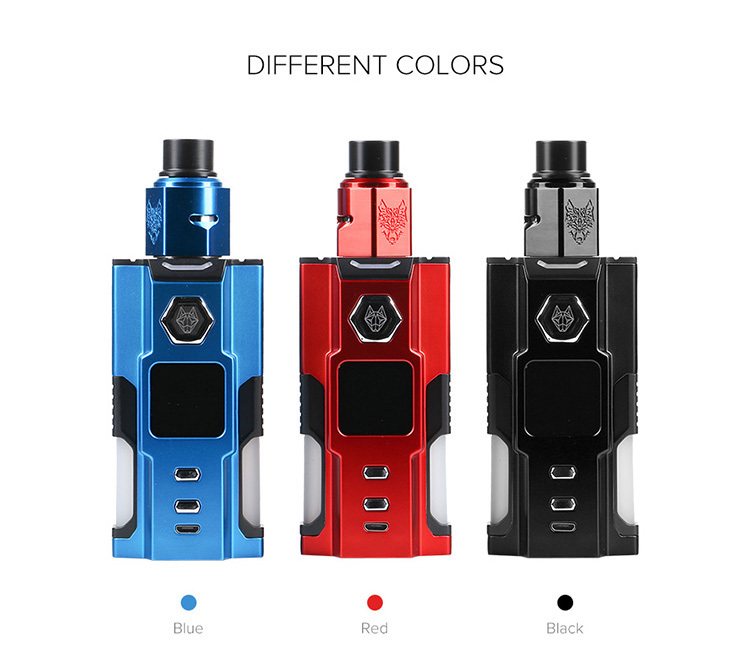 SnowWolf Vfeng Squonk Kit has the appearance of the SnowWolf Vfeng Mod. It features the total 6ml capacity dual squonk bottle and the 1.30〞TFT color screen. Compatible with the single 21700, 20700 and 18650, its wattage can up to 120W. You can easy to build as low as 0.05ohm in the TC Mode and 0.1ohm in the wattage mode. With the two-in-one squonk bottle system, it is easy to mix the different eliquid for best flavor. 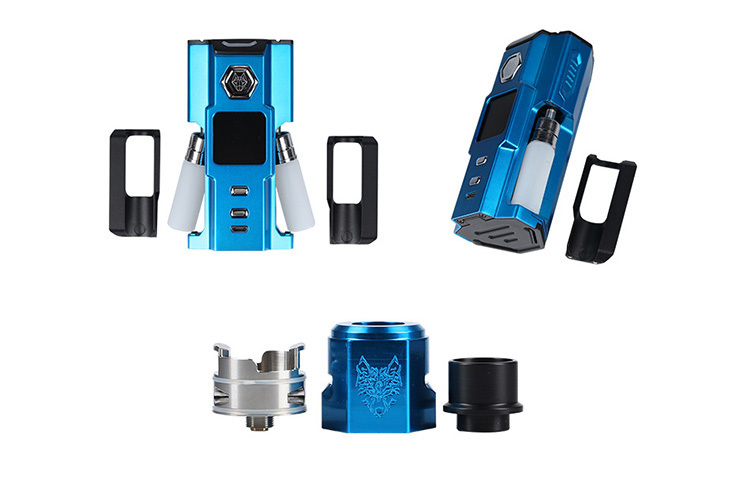 SnowWolf Vfeng Dual Squonk Kit brings the powerful and technological sense. 5. Multiple working modes available, including Power, Ti, Ni200, SS304, SS316, TCR, etc. This is my first mod and I love it. I bought two flavors that I didn’t really enjoy but when I mixed flavors using the dual squonk bottles it became a much more enjoyable experience. A must own for anyone who likes to squonk. Looks great. Love the colour screen. It’s different to the other Squonk mods out there. Great colours too.